His carbon footprint was high. UNITED NATIONS — U.N. environment chief Erik Solheim said on Tuesday he had resigned after receiving a final audit of his official travel. A draft of the report found he traveled for 529 out of the 668 days audited, spending $488,518 with no regard for the rules, Britain's The Guardian newspaper reported in September. U.N. Secretary-General Antonio Guterres had accepted Solheim's resignation, which would be effective from Thursday, U.N. spokesman Stephane Dujarric told reporters. When asked about Solheim's travel expenses, Dujarric said: "The Secretary-General, I think, is pleased to see that UNEP (the U.N. Environment Programme) is committed to implementing the recommendations that are found in the OIOS (Office of Internal Oversight Services) report on the travel office." 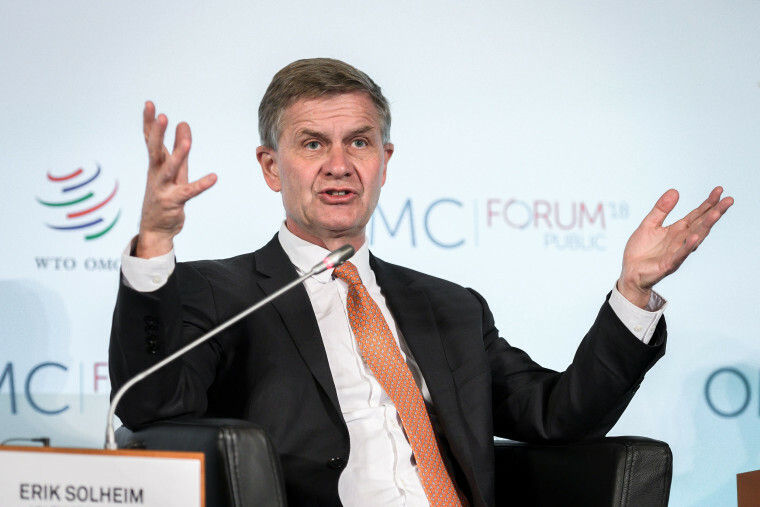 Solheim, a former Norwegian environment minister, said in a statement that he had decided to resign as executive director of the Nairobi-based U.N. Environment Programme after receiving the final audit report on Saturday. "I have been and remain committed to doing what I believe to be in the best interest of U.N. Environment and the mission we are here to achieve," he said. The U.N. Environment Programme aims to set the global environmental agenda though leadership and partnerships. Dujarric described Solheim as having been "a leading voice in drawing the world's attention to critical environmental challenges, including plastics pollution and circularity; climate action; the rights of environmental defenders; biodiversity; and environmental security."